From Norway we got the following message and some great pictures. 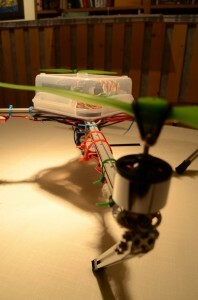 Just thought I’d send you some photos of a quadcopter I and a friend built recently, using MakerBeam aluminum profiles. 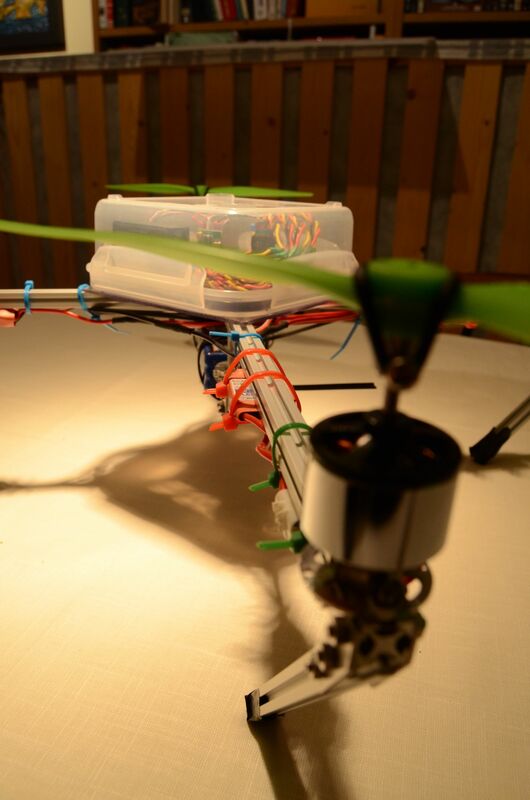 We used 4×30 cm long beams to make the arms, and mounted a plexiglas plate and a plastic box on top, to hold the RC receiver and the controller card. Beneath the plate we made a battery mount, and fastened all the wires using zip ties. 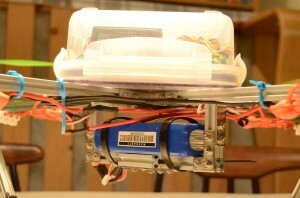 We also modified the motor mounts so that they could be screwed directly onto the beams. – It would be nice to introduce some kind of “joint”, so that one beam could rotate relative to the other. A combination with some kind of spring would be nice. 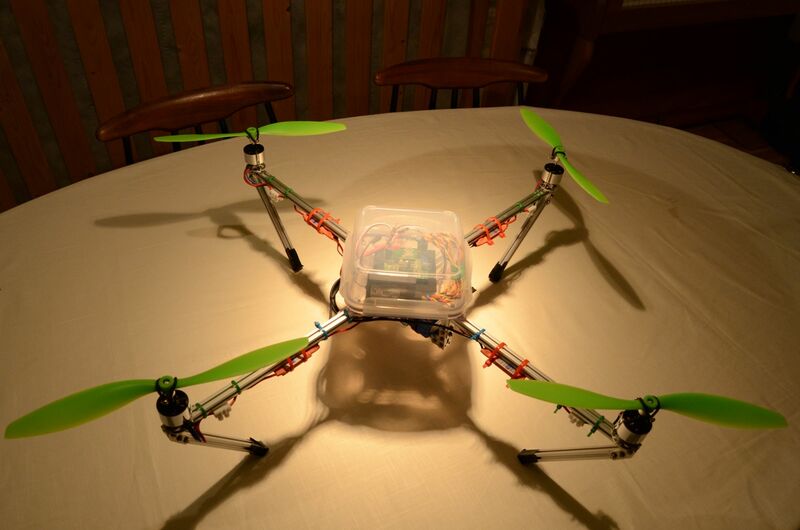 For example, in our quadcopter this could be used to introduce spring damping on the legs. We think it looks great! Thank you Martin. 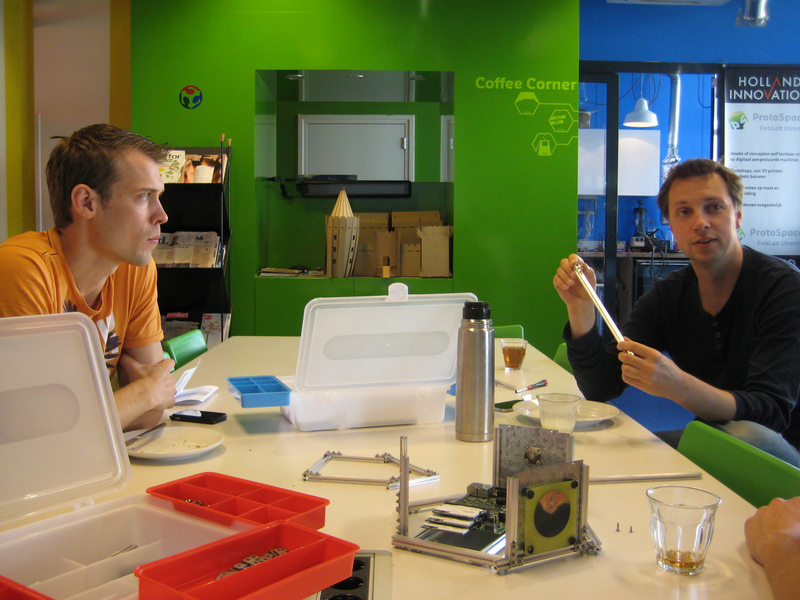 If you have pictures, videos or suggestion for MakerBeam please let us know!! 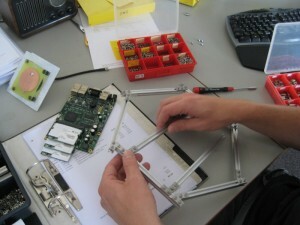 From Bodenmann Electronics we received the good news that the 3D printer Joel is been working on is nearly finished. 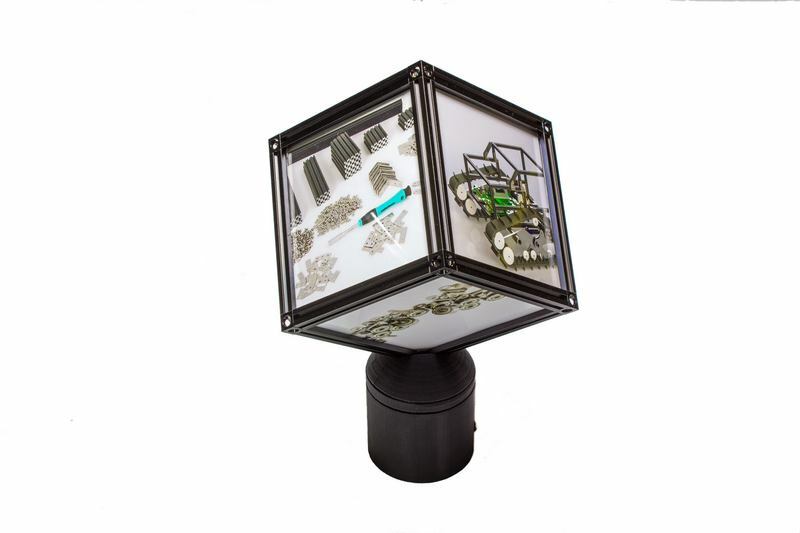 Pictures of this were already available on our site under News&Projects. Video footage of some test runs are available online. Here is the video from test #1. In the video the Y-axis is tested. Bodenmann Electronics by the way is a distributor of MakerBeam. 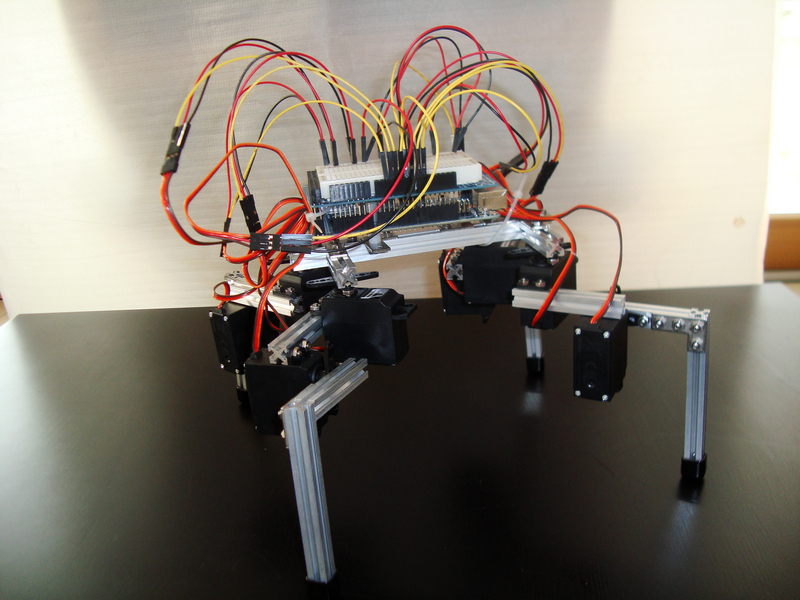 From Dejan Kocbek from SMAKsoft we received pictures of his project hexapod with only 4 legs and 8 servomotors (economic version). 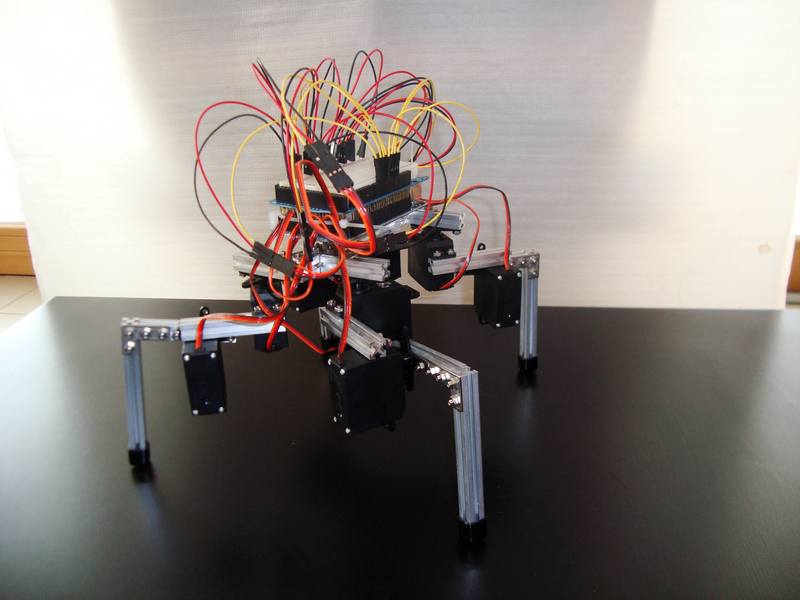 Though it is missing some legs to really be a true hexapod it is a great project! It is a good example of how to use makerbeam for robotics. Thank you Dejan! 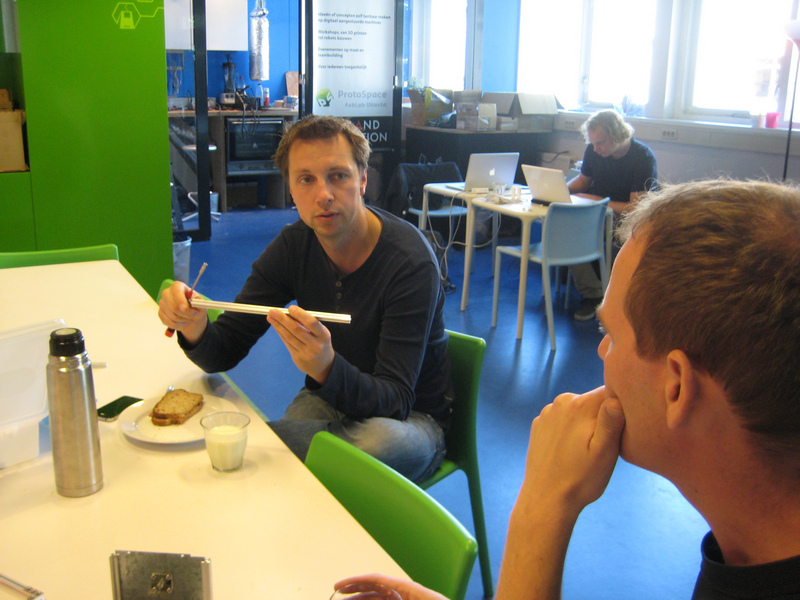 SMAKsoft by the way is a distributor of MakerBeam. 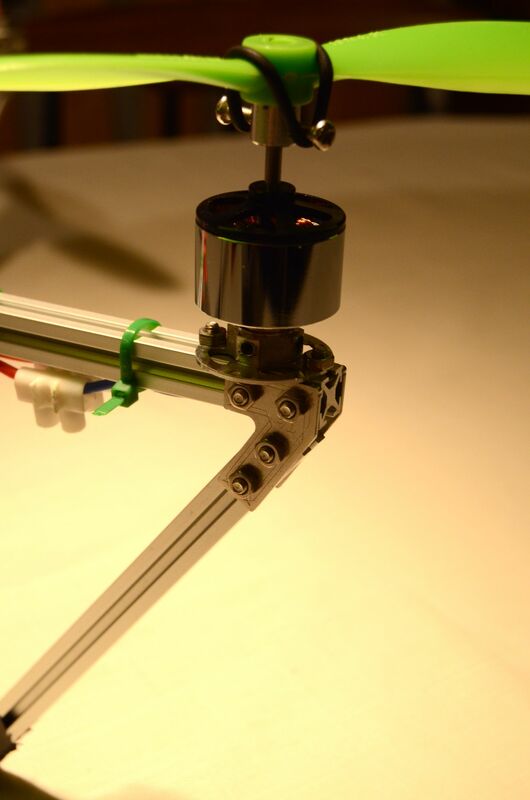 The MakerBeam knee joint video shown here is the first in a series of cSprings videos Sean Reynolds put online. A project page is to come but in the mean time you can find a couple of videos under his YouTube channel. You should definitely see the other videos as well. They are great and very interesting. 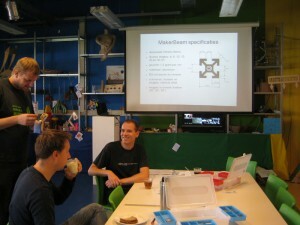 We of course love them because of the use of MakerBeam! I chose this video because at first glance it shows a simple setup. 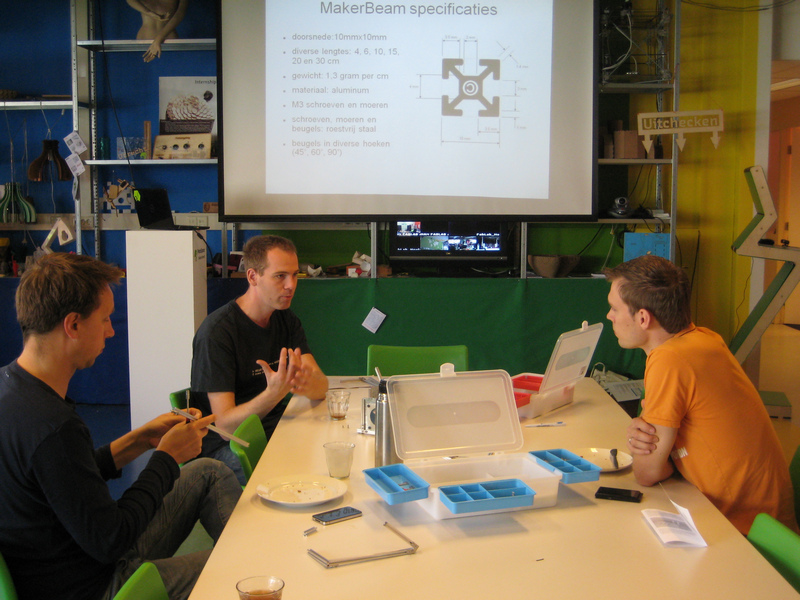 It is a good example of MakerBeam as rapid prototyping tool. 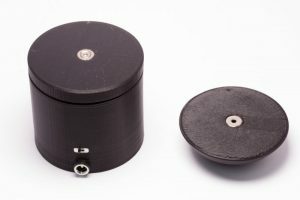 The added equipment, like the spring and hinges, make it clear you can add lots of things yourself. 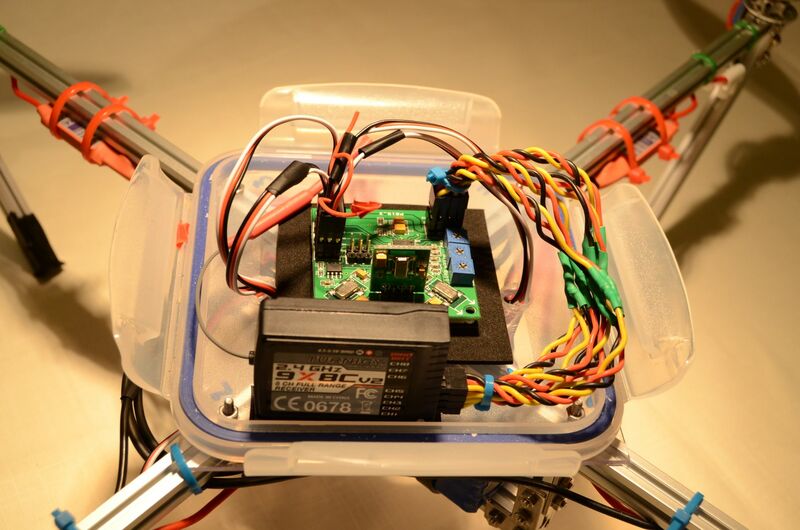 In the video an Arduino processor is driving the best servo on the market with a 5-20 lbs spring for flexability on the MakerBeam skeleton. 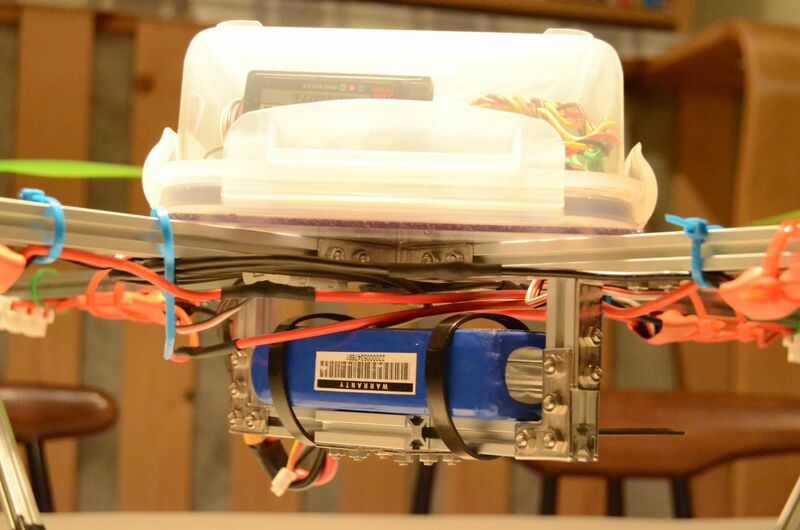 MakerBeam provides the basics and you can build from there. 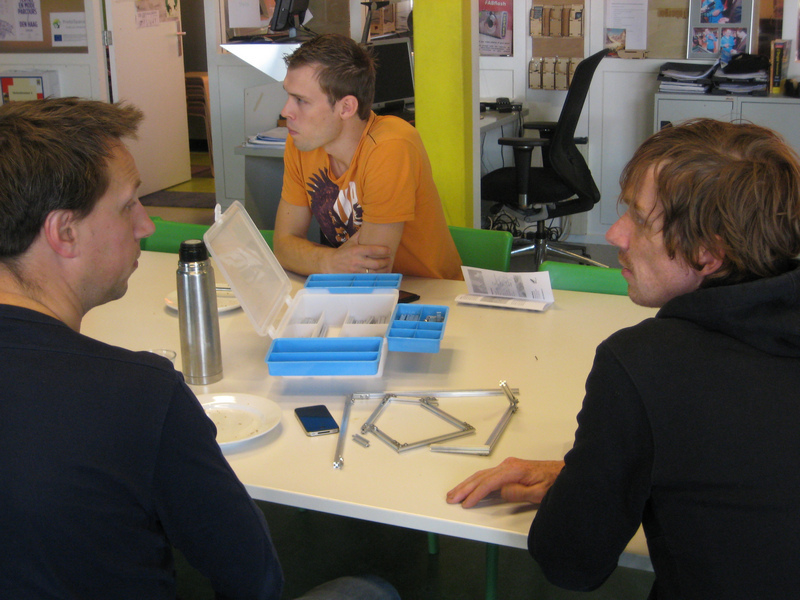 We are proud to tell you that one of our starter kits found its way to the guys behind Ultimaker, Martijn and Erik. It was a nice surprise discovering Erik had ordered a kit. 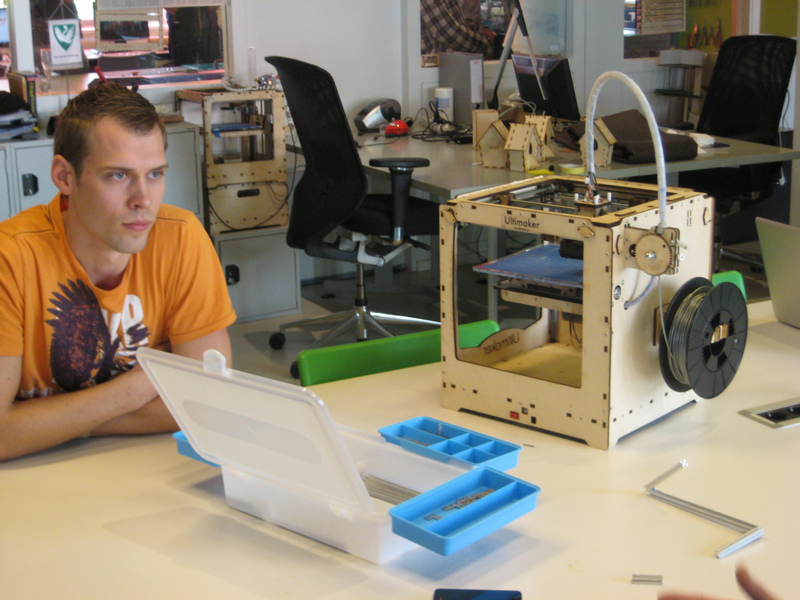 Ultimaker works together with Protospace FabLab Utrecht. When they learned we would give a lunch lecture there it was real easy for them to attend. It gave us the opportunity to personally hand them a starter kit and to shake hands. 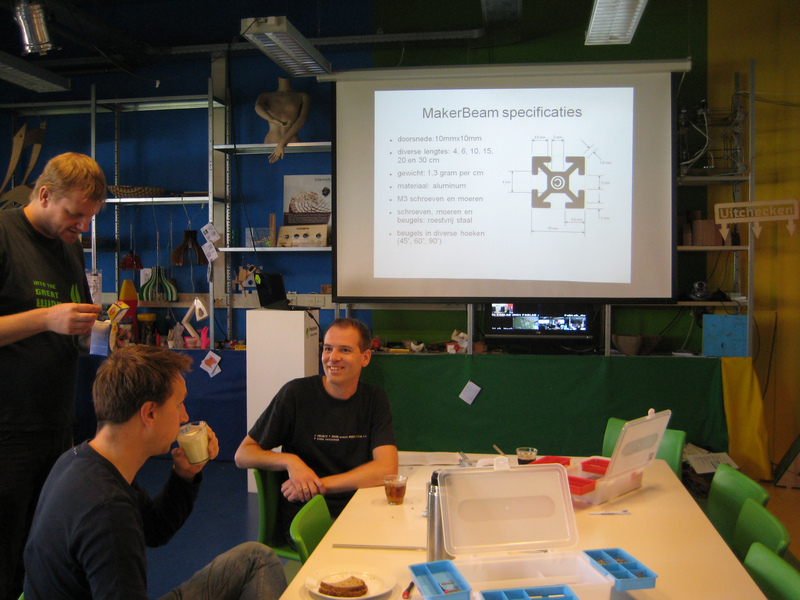 The relationship Ultimaker has with MakerBeam goes back a few years. A 3d print of a makerbeam was made some years ago. Back then it was just an open source hardware project paying the other budding open source hardware project a compliment. Today it was time for a more serious introduction. The Ultimaker of course is in full production. The process of improving the production process is ongoing as well. Especially the production of the wooden framework takes up a lot of time. There is definitely room for improvement there. 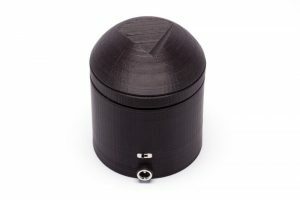 Could the aluminum Mini-T profiles of Makerbeam fit in? 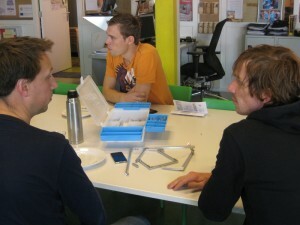 We talked about it and the guys of Ultimaker took their starter kit home. So who knows what beautiful combination the future will bring!